To make: Take a simple file folder. (This is a red one.) Open out, and refold in thirds. Make little booklets by folding paper, and glue in. Simple as that! 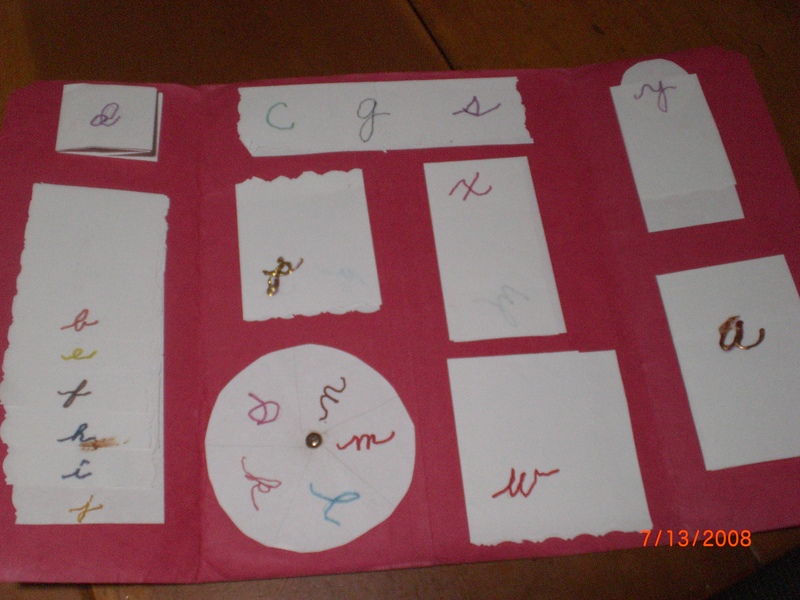 This was Karis' first lapbook, and held some examples of her cursive phonogram writing. First we practiced on other paper, and when it was good enough, we celebrated by making this lapbook! We still have it, of course.